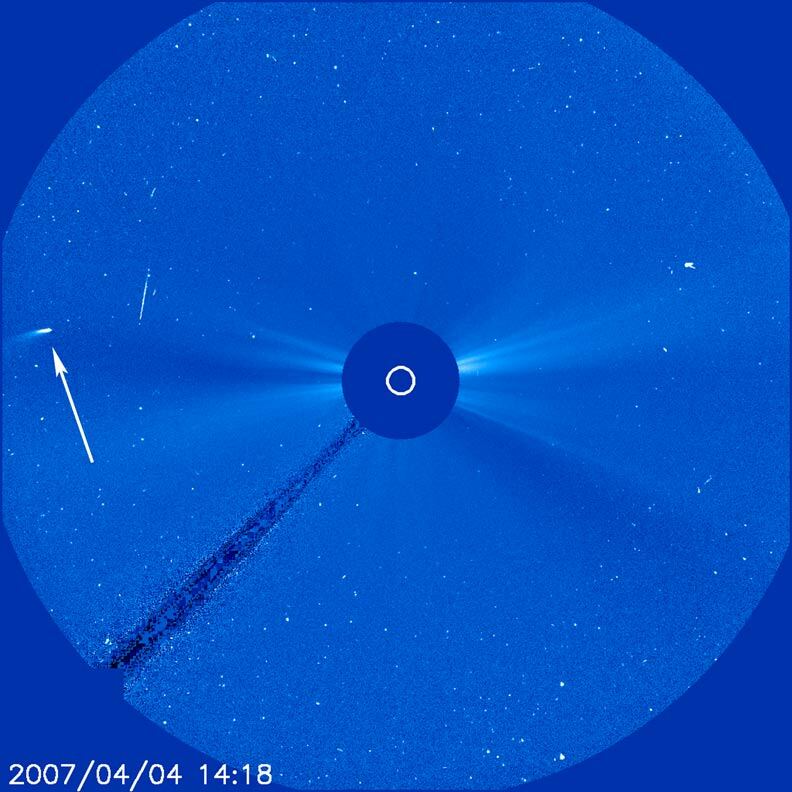 We last saw Comet Machholz as a bright comet streaking past the Sun on Jan. 8, 2002 (see Hotshot from 2002). Well, guess what! It's back! After over five years of swinging through its elliptical orbit out in space, the same comet has returned. Though not as bright as it appeared last time around, it is hard to miss as it rises from the lower left in our LASCO C3 coronagraph's field of view. Note that the comet's tail always angles away from the Sun as it responds to the push of the solar wind. Comets are very old balls of ice and dust that fly around our solar system and beyond. 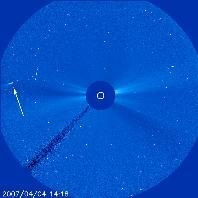 Because it is so close to the Sun, SOHO has the best seat in the house for observing it.